Grey Box recently released a new developer diary video for the game RiME, which takes a behind-the-scenes look at the game. The puzzle-adventure game will be available on May 26 for PlayStation 4, Xbox One, and PC, with the Nintendo Switch version coming out later this summer. In the developer diary, developer Tequila Works discusses how RiME’s vivid art, color, sound and music design shape the player’s emotional arc, creating a world that is both fantastic yet intimately familiar. RiME thrusts players on a personal journey of discovery as they take on the role of a young boy who lands on an island after being shipwrecked of its coast. The game will challenge players through its use of light, sound, perspective, and time as they try to decipher the island’s terrain and ancient structures. 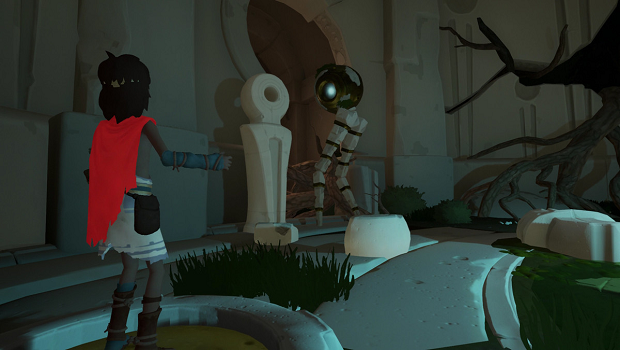 RiME is available for pre-order today on PlayStation 4, Xbox One, and PC. PlayStation Plus, Xbox Live Gold, and Steam users will also get a 10 percent discount at the time of pre-order. RiME will also be released later this summer on the Nintendo Switch. Stay tuned for more news on Gaming Trend.